Hello. Loved how this book folded out. When is the new one coming. It’s sept almost oct 2017. Oh I just can’t wait. I loved loved loved this book. :-). Thank you, Sonja! Dust: New World Order will be out June 26, 2018. I’m very excited about the story and the changes and challenges Dust, Sammy, Todd, Josie, and the others will face. Last time i heard the new book was coming out in September. Is it almost here? Hi Jackson. I may be a little delayed. I fractured my right arm and sprained my left wrist which has thrown my schedule a little crazy, but I’m getting back on track. Yay! Thank you, John! I’m hoping to have the next book in Dust by the end of this year. Dust, Sammy, Todd, and Josie are awesome and I can’t wait to see what new adventures and challenges they meet, plus what else is in store for Dust! Argh! I’m just seeing this! Thank you, John! There will be more in the series! My son loves this book! Any ideas when the next one will be available? Hi Sarah, I’m sorry I took so long to find your post. Head bang on the desk! I’m hoping later this year to early this coming one. Dust will be back! 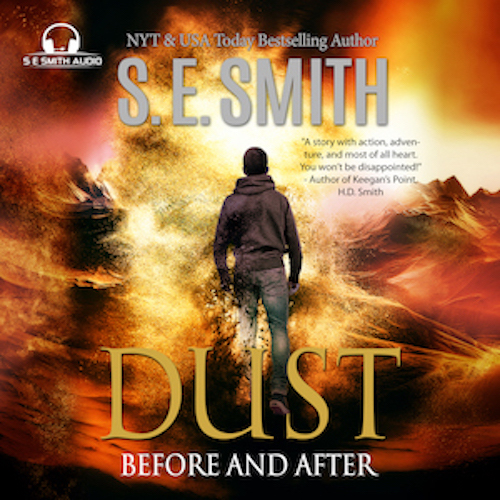 Dust: Before and After: Will this be a stand lone book or is there more to come….I hoping for more. Definitely more. The next book will start where this one finished as they are searching for Dust’s Aunt and Uncle. It is a whole new world! There will definitely be more! The series will follow Dust into adulthood and when he fully comes into who he is to become.